We are committed to providing the highest-quality milk, and that commitment starts with caring for our cows , and continues through the entire process of milking, storage and transportation. Our cows are milked three times a day, every day. During the milking process, the milk goes directly from the cow to a stainless steel holding tank, where it is quickly cooled for safety and quality. Every day, our milk is picked up and taken to Agropur in Luxemburg, just 15 miles from our farm. 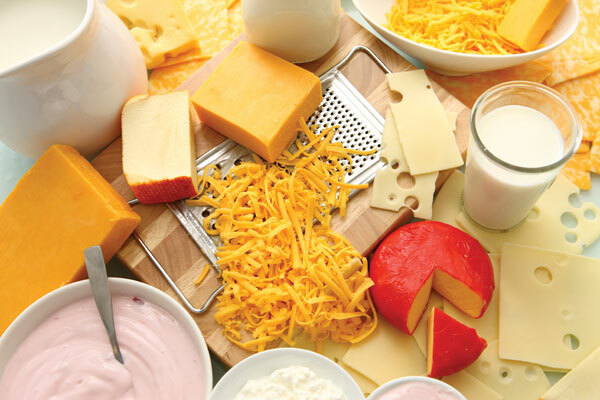 At the processing plant, our milk is made into the award-winning cheeses and whey products Agropur is known for. Agropur cheese is available at the Krohn Dairy Store in Luxemburg next to the production facility. Stop in and purchase some of the cheese made locally.